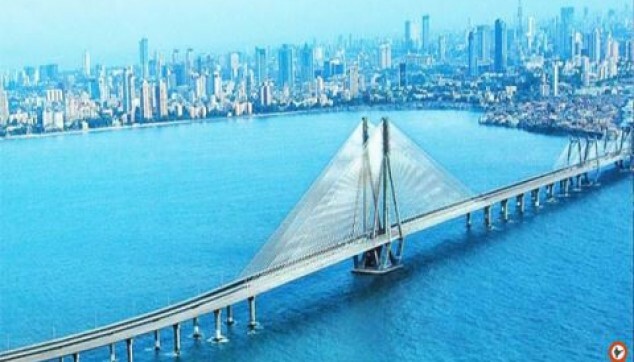 This private 2 days Mumbai Tour Package offers you to experience the dazzling night life of the Mumbai city by visiting the major attraction of the Mumbai city includes the Gateway of India and Prince of Wales Museum, Dhobi Ghats and Marine Drive. Explore the history and antiquities at Prince of Wales Museum. Praise the efficient services of the washer men at Dhobi Ghat- the world's largest Open Air Laundry. Admire the gleaming glance of the Arabian Sea at Marine Drive, also known as "Queen's Necklace"
Our cabbie will pick you up from the Mumbai Airport/ Hotel/ Railway station as per your schedule, and transfer you to Hotel. After check-in and some relaxation, In the evening around 4 – 5 PM we will take you for the Mumbai tour starts from the beautiful Marine Drive, also known as the Queen's Necklace because the lights around the sea form the glance resembles to the necklace. Here, you can sit and relax for around 30 – 90 Minutes and admire the spellbinding view of the Arabian Sea. This is one of the most favorite and popular places in Mumbai. After spending a beautiful and relaxed evening, we will drop you back to the hotel for overnight stay with a delicious dinner. In the morning after having a mouth-watering breakfast, check out from the hotel. 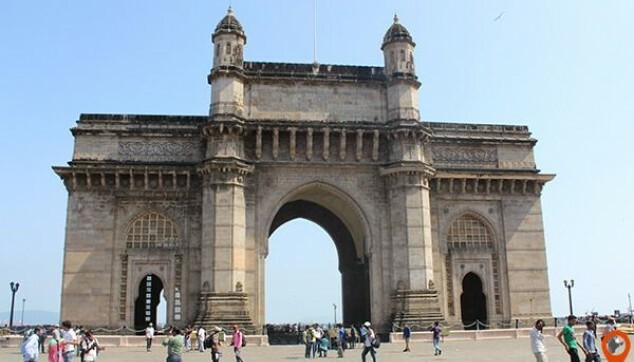 After that, our expert city guides along with chauffeur drive you for your Mumbai trip starts from visiting the top tourist attraction of Mumbai - Gateway of India, this 85 feet tall gateway is decked with four turrets and its imperishable concrete and yellow basalt stone grandiose structure spruced up with a delicate latticework. In front of this, you can also take a glance of the most popular landmark of the Mumbai city i.e. the Royal Taj Mahal Hotel. 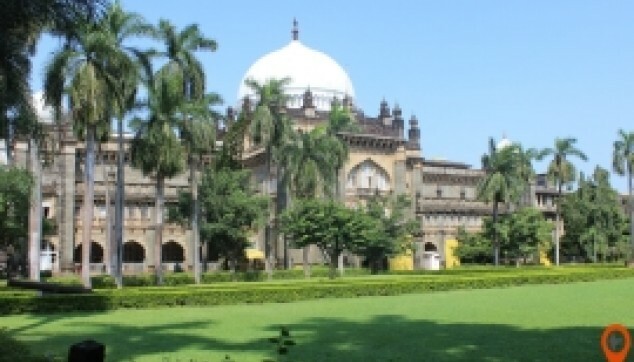 Listed next on your Mumbai tour package is the exclusive Prince of Wales Museum now known as Chhatrapati Shivaji Maharaj Vastu Sangrahalaya (closed on Monday). This museum was built between 1904 and 1914, preserves a wide collection of natural history, sculptures, textiles, decorative art, miniature paintings, European Paintings, Chinese & Japanese antiquities, and much more. Then, you will catch an outside glimpse of the other famous buildings of Mumbai as we drive you past the University of Bombay, High Court of Bombay and Crawford Market. After that, we will take you to the Hanging Gardens. Here you can enjoy the greenery amidst all the concrete and cement structures. Later, we will drive you past through the Malabar Hill one of the posh residential area of the city of Mumbai. You will also be taken to visit the esteemed Gandhi Memorial Museum (Mani Bhavan). Afterward, we will drive you to visit the called the Dhobi Ghat is exclusive to the city of Mumbai. Here, you can watch the complete process of the washer men or the 'Dhobis' from gathering dirty laundry to cleaning it and to returning it perfectly ironed, and all this at an exceptionally less price. The spectacular sight this Dhobi Ghat provides is a photographer's delight. After visiting the Dhobi Ghat, We move towards the drive past through the Bandra Worli Sea Link. Later we drop you back to the hotel/ Airport as per your preference, your 2 days Mumbai trip package ends here. Monument ascending orders can be changed. 1 Night Hotel Accommodation in Good 4 Star Categories Hotel. One Dinner at Hotel or Local Restaurant. Sightseeing and Transfer by Private air condition Car. 29-19 days prior commencement of tour, 25% of travel cost. 18-7 days prior commencement of tour, 50% of travel cost. Less than 06 days prior commencement of tour, No Refund. I was really happy to book this Mumbai Tour. I was happy with the services by Indiator. I have first time visited the country. Was new to the land, but the representative of the company were very good. The arrangements were of A class. The coastal city of India has a lot of interesting monuments to visit. The Gateway of India and Marine drive is a must visit. Sunil the owner is very organised and everything was perfect.If you like to know Mumbai don't go by yourself.they take care of you.